New Craftable Mob in Minecraft! Oh look at this guy! Isn’t he adorable? UNTIL HE THROWS SNOWBALLS AT CREEPERS…then they just get pissed. 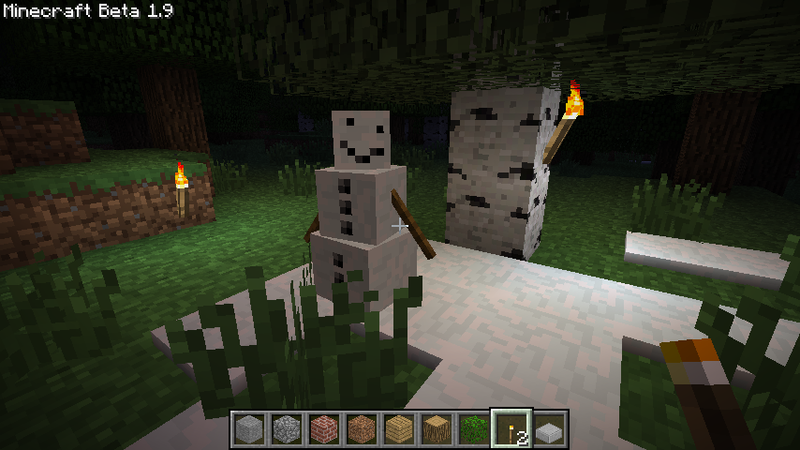 Notch constructed a new mob for Minecraft, he calls them “Snow Golems”. They are more like snow men but why argue with Notch? This new mob is craftable and can only survive in snowy biomes. The snow golem will throw snowballs, which do zero damage kiddies, at mobs to tick them off. I wonder if these snow golems will make creepers explode? Let’s hope so.